Hey Y’all! It’s April, from Grade School Giggles. I’m so excited to be kicking off 2016 with a fabulous series, “A New Year of Organization!” here at The Primary Peach. 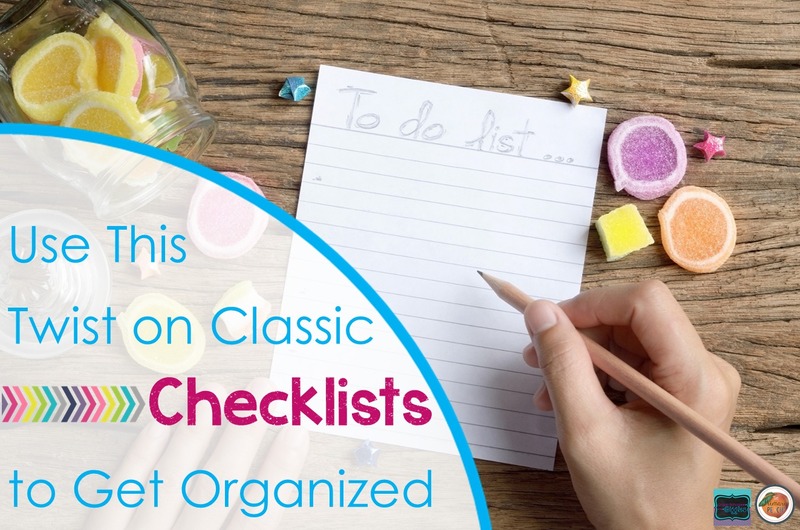 Today, I'm sharing with you an improvement on a classic organizational tool, that I know you’re familiar with,…the checklist. Let's face it...no one wants to be disorganized. No one likes forgetting to do something, life gets crazy and teachers have a million things to juggle at any one time. So, it’s easy for things to fall through the cracks. No fun! Writing things down is a million times easier than trying to remember everything, which is why I love checklists. Using checklists helps me make sure I am staying on top of my routines and not letting little things slide that will come back to haunt me later. Seriously, who needs the stress? I have checklists for daily routines, chores, personal goals, cleaning, etc. The one thing that I don’t like about checklists is I don’t want to waste time writing the same things over and over. The whole point is to simplify things and keep my day going smoothly. Who has time for that? So, I laminate checklists. Most of the time, I keep them on a fun clipboard. Sometimes I have taped them to my desk or small group table. I even made one for my planner. 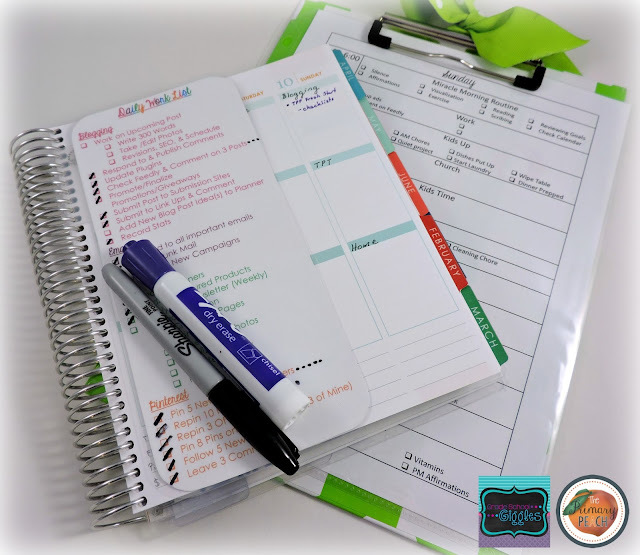 You can use permanent or dry erase markers on them to add additional items or make changes. Cleaning the lists is easy. Either color over any writing with a dry erase marker and wipe off the writing with a tissue or use a magic eraser. Lists keep me organized. They prevent me from getting distracted by all the little things that pop up during the day. If you haven’t tried laminating checklists, give it a shot and let me know how it works for you.